It’s common knowledge that tattoos are permanent forms of body art, and for the most part, they are. If you’re looking for something that will stand the test of time, though, you might be disappointed by how long lip tattoos last. These tattoos definitely have an expiry date, and it may be sooner than you think. If you’re set on having a secret tattoo inside your lip, prepare yourself for regular touch-ups and maintenance. Here is everything you need to know about how long these tattoos last and the best way to look after them. 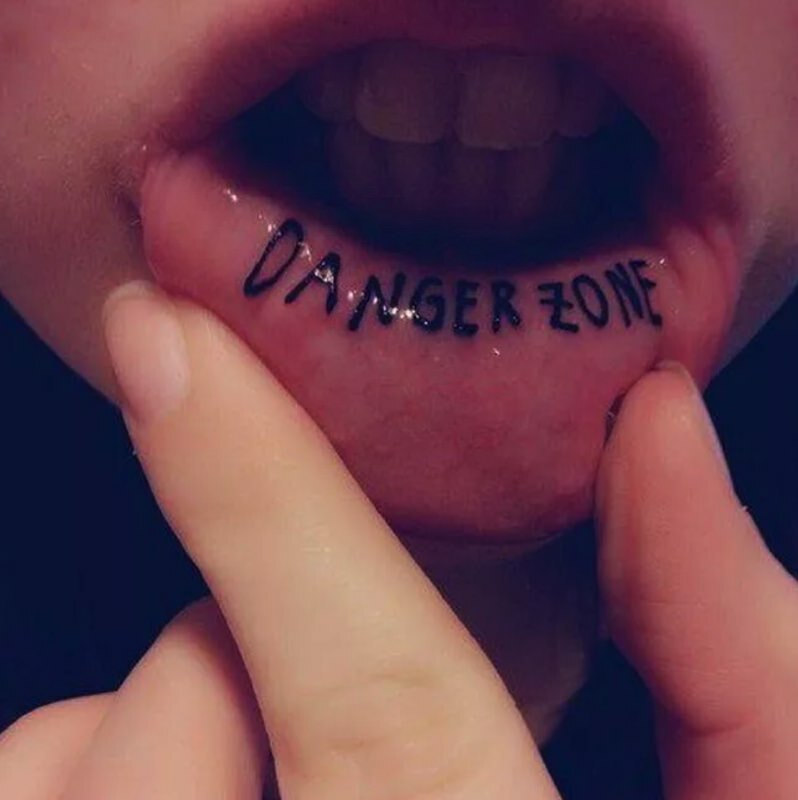 How Long Do Lip Tattoos Last on Average? Lip tattoos don’t last as long as tattoos in other areas of your body will. You can expect your lip tattoo to look good for between one and five years, sometimes less. This length of time varies, and some lip tattoos may even vanish after just a couple of weeks! Due to the short lifespan of a lip tattoo, you will need to have regular top-ups to keep it in good condition. If you do not maintain it in this way, then it will continue to fade and eventually disappear. Unless, of course, the short lifespan is the main attraction for you. 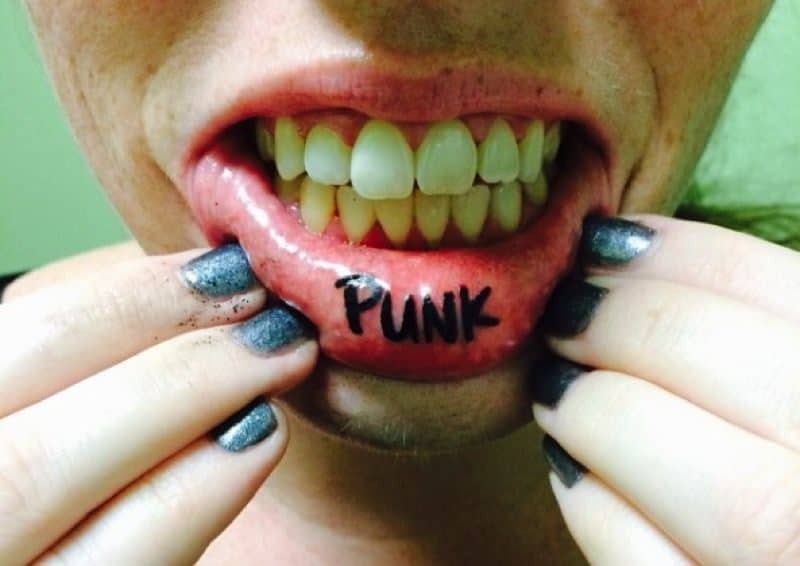 An inner lip tattoo may be the perfect chance to get a tattoo of something you’re unsure of. Not only is it hidden from the naked eye but you won’t have to worry about it being there forever. What Can Determine How Long a Lip Tattoo Lasts for? Lip tattoos are not permanent and will always fade over time. This will happen sooner if it’s not cared for or topped up. There are a number of different factors that contribute to the length of time a lip tattoo lasts. Most of these factors are natural and result from the unique environment in our mouths. The first factor that determines the lifespan of a lip tattoo is the nature of the cells that make up the inside of our mouths. The cells in our mouths are mucosal cells. What makes mucosal cells so unique is that they regenerate at a very high speed. Due to such a high rate of regeneration, lip tattoos heal very quickly. Traumas that usually takes up to three weeks to heal on other areas of the body will only take three days in the mouth. This speedy regeneration of mouth cells means that tattoo ink cannot hold in the same way that it does in other parts of our body. A tattoo will generally last longer if the ink is inserted into the skin at the right level. A skilled tattoo artist positions the ink at the correct depth to help extend the life of a tattoo. If the ink is placed too close to the surface of the skin, it is easier for the body to attack and break up. 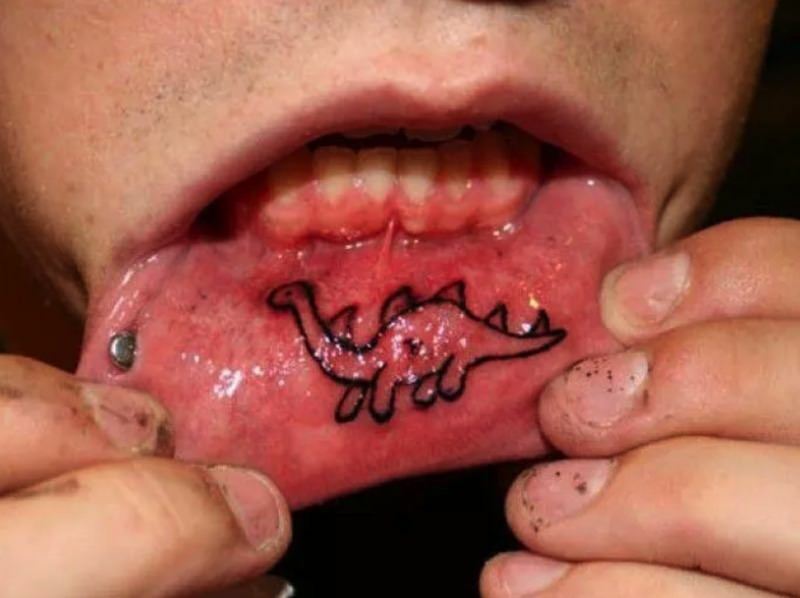 As lip tattoos already have a short life span, try to find an experienced tattoo artist to do your tattoo. If the tattoo is well executed, then it is likely to last longer. Also, consider that inner lip tattoos are not very common. It is, therefore, better to go with an artist who already has some experience working in this area. Another factor that reduces the lifespan of inner lip tattoos is that the mouth is acidic and moist. Not only are the cells within the mouth very quick to regenerate, but the mouth is full of chemicals and acids. The acids that are present in the mouth break down the ink of the tattoo faster, causing it to fade. Our saliva also makes the mouth a very moist and damp place. It is hardly surprising then, to learn that this environment is not the best for tattoos. The overall lifespan and health of a tattoo are better on hydrated skin, which is not exposed to a great deal of water or abrasion. Aftercare is important for the health and healing of any tattoo, regardless of its location. Lip tattoos require special care to heal properly. This care differs from the standard healing advice you might have been given for other tattoos. The level of aftercare you give your lip tattoo will affect the length of time that it will last. Your tattoo artist should give you some advice about how best to care for the tattoo to promote healing. This will likely include foods you should avoid, as well as ways to keep the tattoo site dry. Ensure you follow their advice carefully and ask about anything you feel unsure of. 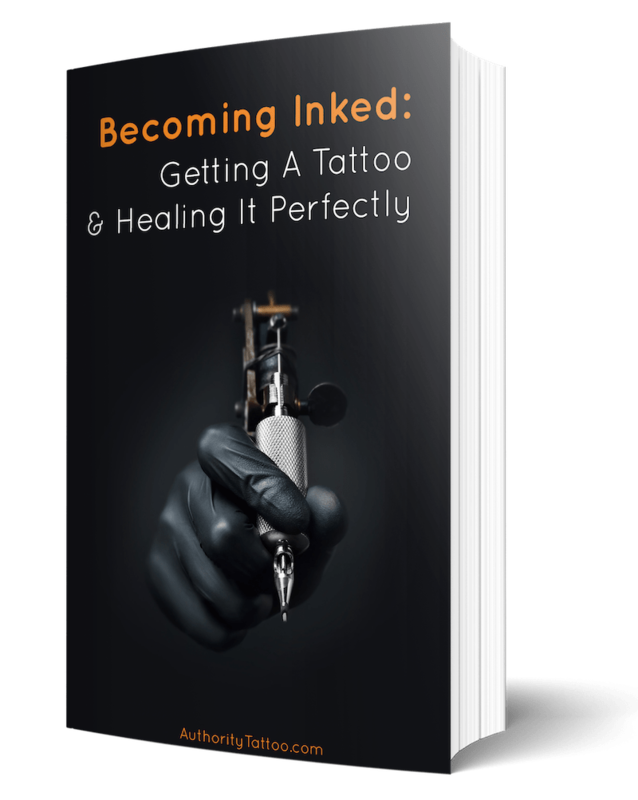 My new eBook, Becoming Inked, is the most comprehensive and practical guide on getting a tattoo and looking after it that you’re ever going to see. By reading this book, you will learn absolutely everything there is to know about getting a new tattoo and healing it perfectly, from start to finish, in a step-by-step format. Not only will you learn about everything you need to do before and after getting a tattoo, but I also go through every single thing that can go wrong with your tattoo, and explain how to prevent and treat each and every one of these issues. With hundreds of tips and tricks spread over a whopping 400+ pages, Becoming Inked will reshape the way you think about tattoos, and will give you all the tools and strategies you need to ensure your own tattoo turns out to be everything you hoped it ever would be. We also have a couple of tips to help with aftercare and boost the time your tattoo will last. Directly after your tattoo has been finished you should avoid eating or drinking anything. Your tattoo artist should let you know how long you should fast for. The length of time will vary depending on the size of the tattoo as well as your skin type and general health. If you are a smoker, you should still be able to have a cigarette. However, if you do smoke during the fasting period, make sure that you rinse your mouth out afterwards. This will help prevent an infection developing around the tattoo site. Due to the location of lip tattoos, there is a much higher risk of infection compared to other areas. This is because the mouth is full of bacteria. In order to prevent an infection, you can use an alcohol-free mouthwash. Use this to rinse your mouth, following every drink, meal, or cigarette. With that said, using an alcohol-free mouthwash will not guarantee an infection won’t develop. What it will do though, is reduce the possibility of harmful bacteria getting onto your tattoo. How long lip tattoos last is directly related to the unique environment in our mouths. You can help your new ink last longer by keeping the area clean, bacteria free, and as dry as possible. Can You Get A Tattoo Over Moles? How Much Does A Sleeve Tattoo Cost? Shoulder Tattoo Pain – How Much Do They Hurt? Finger Tattoo Pain – How Much Do They Hurt? Does Coconut Oil Fade Tattoos? Dan, a self-confessed ink addict and studier of all forms of tattooing for over 10 years, is our resident writer here at AuthorityTattoo. While no longer as active in the tattooing community, Dan still strives to relentlessly improve his knowledge on the various methods of tattooing throughout the world, and is here to help educate, teach, and advise readers on all things tattoo related. Tattoo Scabbing – Is It Normal? Tattoo Peeling – Is It Normal For Tattoos To Flake & Peel? Why Is My Tattoo Bumpy & Raised During Or After Healing? Tattoo Prices Guide – How Much Do Tattoos Cost? Tattoo Pain – How Bad Do Tattoos Hurt?